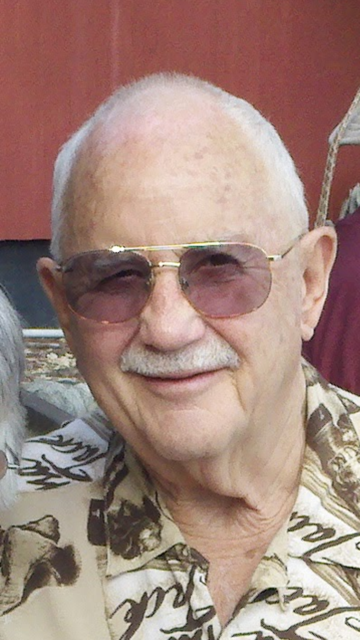 Lester Robert LeBlanc, Ph.D., 79, of Ocala, FL peacefully passed away April 12,2019 with his loving wife of 55 years at his side. Born in Providence, RI to William and Mildred LeBlanc, Lester graduated from Cranston High School in 1958. He attended the University of Rhode Island where he earned his Bachelor’s degree in Electrical Engineering , Master’s and PhD in Ocean Engineering. Lester was employed by URI as a professor of Ocean Engineering until 1990 when he took a position at Florida Atlantic University. He retired to Ocala, Fl. in 2000 with his wife Aline. He was a member of Queen of Peace Catholic Church, Ocala and was an avid RC model airplane flyer. He is survived by his wife, Aline; children, Robert L. (Julie) LeBlanc of Warwick, RI, Anne F. (Stephen) Salisbury of West Greenwich, RI and Paula (Russell) Rekos of S. Kingstown, RI; sister, Florence Cronin; brother, Lawrence LeBlanc; grandchildren, Bryan Salisbury, Justin Salisbury, John Rekos, Elizabeth Salisbury, James LeBlanc, Alexandra Rekos, Catherine Rekos and Jillian LeBlanc. He was preceded in death by his parents and his brother, Roger LeBlanc. Please join the family on May 4,2019 at 11:00am for a mass of Christian burial at Christ The King Church on the University of Rhode Island campus. Arrangements by Baldwin Brothers Funerals & Cremations, Ocala, FL 352-236-7813.